Armament: (1) 37mm cannon and (2) .30 caliber machine guns. Engine: (1) Cadillac gasoline 8-cylinder. Miscellaneous Info: Two prototype T27’s ordered and tested. This was actually an 8x6 vehicle, with the 1st, 2nd and 4th set of wheels being powered. 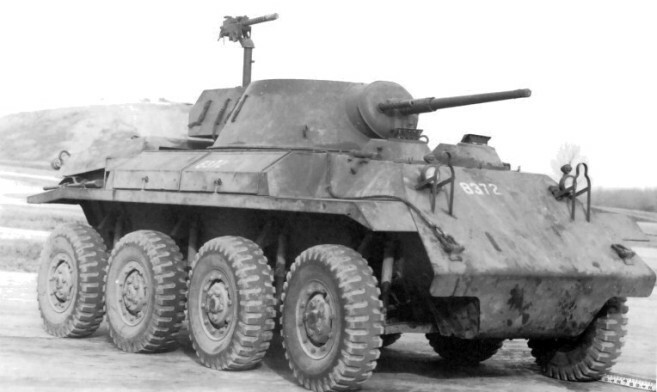 The M8 armored car already having been type classified, no production of the T27 was begun.